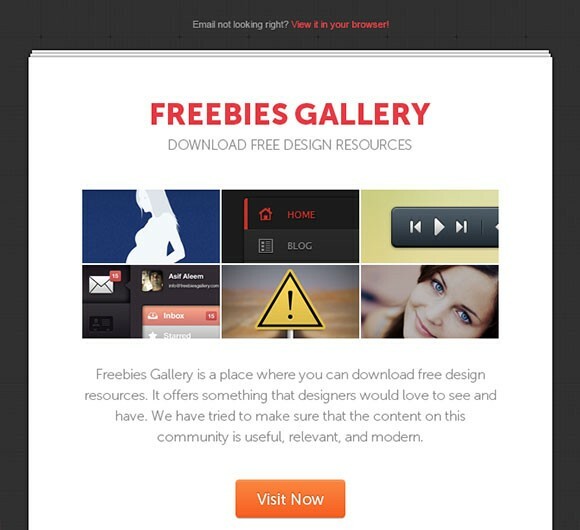 You can download free design resources at Freebies gallery. Today, one of those freebies is an email newsletter template. In this generation, email newsletters are a fast and effective way to engage the audience. They are economical, can easily convey the message of the brand and efficient to use. In addition to that, email templates should be simple, clean and straightforward. Designed accordingly to fit those requirements, the template exudes a classy feel. Download this free template today so you can start your own email marketing. What are you waiting for? Click the link below to find out how.